Discussion in 'Disney Cruise Line Forum' started by scgustafson, Jul 3, 2014. Anyone know the current Concierge staff on the Dream? 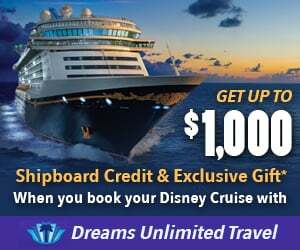 I’d love to know this too if anyone has recently sailed on Dream! In case you haven’t sailed yet it was Danny, David, and Rodrigo. I was sad to learn Tracey had resigned. ohMom, Geomom and dcassetta like this. I think you mean Trent instead of Brent. Brent moved to Disney California Adventure a few years ago. Current Cruise Director on the Fantasy is Trent Hitchcock. If Leslie Dallas and Tisa are still on fire the WBTA, I'll be one happy cruiser. On the 10 Night Med Cruise July 7th-17th; Tisa was still the club host and it was it was Tim from Las Vegas that was the bingo caller. Leslie was still there; along with Omar, Sarah, Michael, Jay, Pau, Taylor and DJ Wendell. I don't remember a Liliana being present. June 6th sailing Danny, David, and PJ were the concierge hosts. Anybody know the current concierge hosts on the magic we will be on it in November. I was looking for a current Dream concierge staff list from any recent cruisers. Thank you. tigerchic89, southerngirl528 and scgustafson like this. Keeping our fingers crossed for Danny. Everyone else has left or moved to another ship. Clojel and southerngirl528 like this. Just a quick point of clarification, the Cruise Staff are the team that runs all of the family an adult activities for the cruise director, such as bingo, dance parties, game shows, etc. This should not be confused with the much larger crew, which does consist of the Captain and his operations, deck, security, medical, and engineering personnel; the hotel and dining staff which consists of guest services, the dining room teams, bar servers, and your cabin stewards; and entertainment team, which consists of the cruise director, the show cast, characters with handlers, the youth activities team, and finally, the Cruise Staff. I specifically started this thread to answer who the current Cruise Staff members are on each ship. southerngirl528, dcassetta and ScooterScott44 like this. I was surprised when Matt (club host on the EBTA) said Tisa would be taking over on the Magic at the start of the next cruise. I know they can, and do, move them between ships, but I always associate Tisa with the Fantasy. Glad to see she's back on it! How long will Tisa be on the Fantasy? Hopefully for Dec 22nd sailing. Sailing concierge in November on the Dream....anyone know if Danny is still there? Saw a post that he was there in June...wondering if anyone saw him more recently. Got off the Magic on Thursday. Can't remember the Club Host name but he was tall and either British or Aussie....he was very funny and kept things interesting.